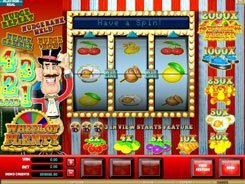 SunQuest is a fast-paced slot machine with no bells and whistles of other 5-reel slots. 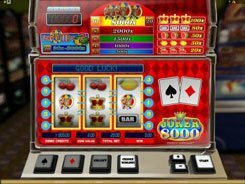 The slot is played over 9 paylines. The symbols set includes classic icons like cherries, lemons, bars, sevens as well as a couple of special symbols. 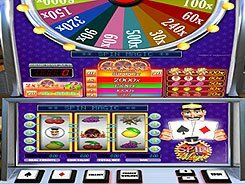 The maximum wager you can place per spin is $18 that will suit players on a budget. 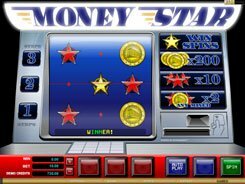 The maximum award reaches 10,000 coins or $20,000 if playing at max. This is paid out for hitting five SunQuest logos on any active payline. 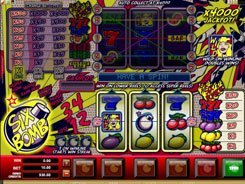 The second largest jackpot of $1000 is awarded for landing five diamonds across a payline. There is a scatter symbol in the game that does not trigger any bonus features but pays out on its own. 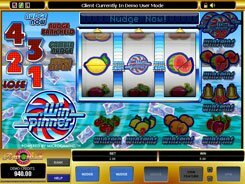 Get three, four or five scatters anywhere in view, and win x5, x20 or x50 times a total bet. A wild symbol substitutes for other non-feature icons helping create winning combinations. 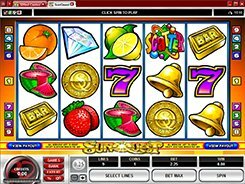 To sum up, the appeal of this machine is simple: SunQuest has easy-to-grasp rules, an old-fashioned aura and very basic features that nevertheless provide good opportunities for decent prizes.